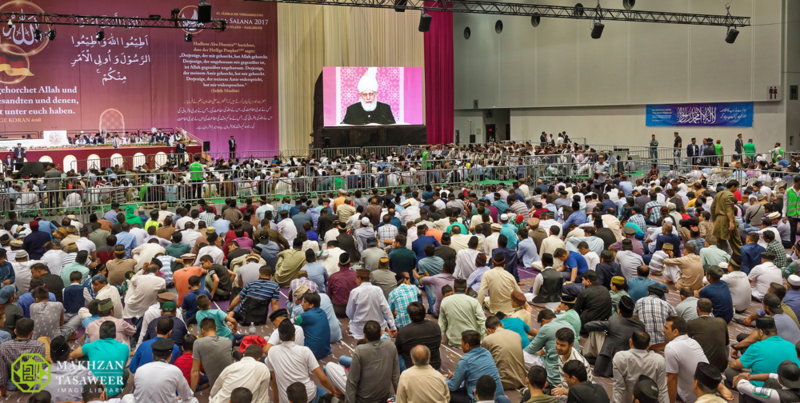 On Saturday 26 August 2017, the World Head of the Ahmadiyya Muslim Community, the Fifth Khalifa (Caliph), His Holiness, Hazrat Mirza Masroor Ahmad addressed an audience of around 800 dignitaries and guests on the second day of the 42nd Annual Convention (Jalsa Salana) of the Ahmadiyya Muslim Community in Germany, beside 30,000 Ahmadi Muslims. 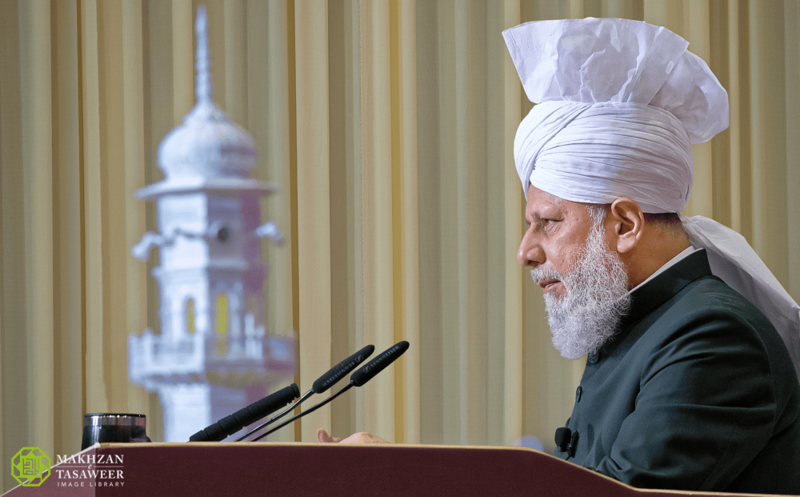 This entry was posted in #AhmadiyyaMalta, Ahmadiyya Muslim Jamaat Malta, Ahmadiyya: The True Islam, Hazrat Mirza Masroor Ahmad, Holy Prophet Muhammad, Interfaith dialogue, Islam, Islam means Peace, Jihad, Loyalty, Peace, Quran, The Promised Messiah as, www.Ahmadiyya.org.mt and tagged Jalsa Salana Germany 2017. Bookmark the permalink.